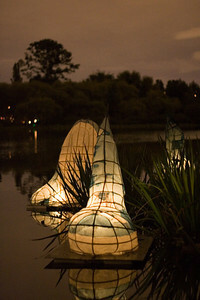 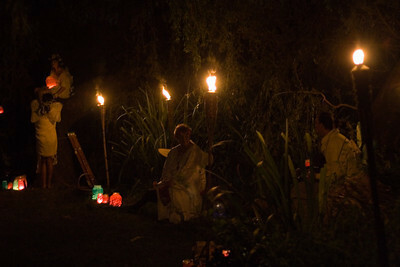 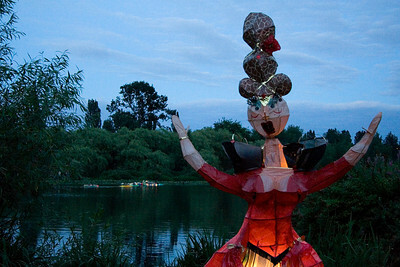 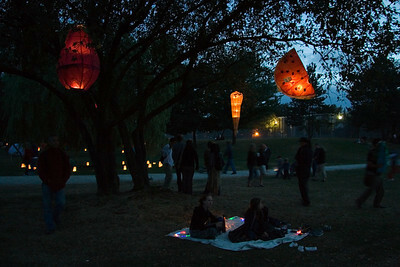 Photographs from the wonderful Illuminares Lantern Procession at Trout Lake, Vancouver, B.C., Canada on August 29, 2006. 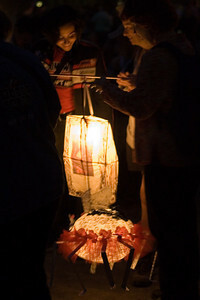 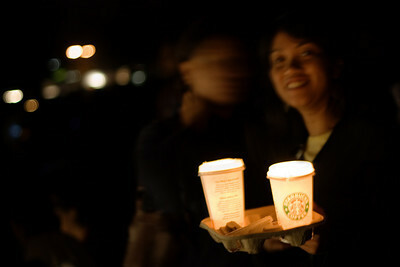 The best way to go to this event is not to be only spectators like we were, but to participate by making and bringing a lantern. 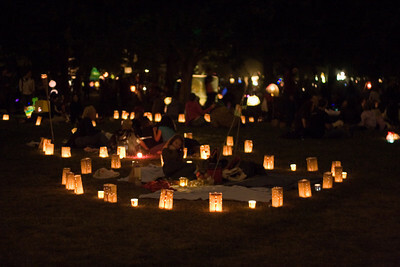 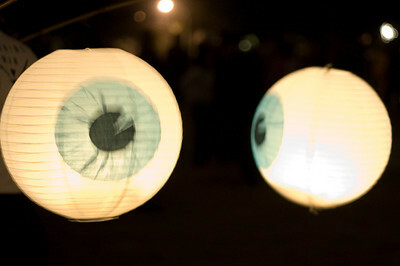 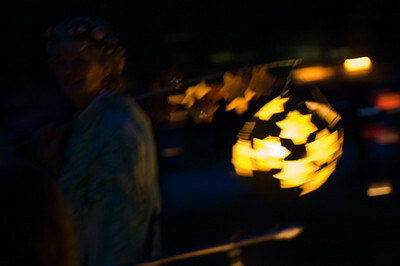 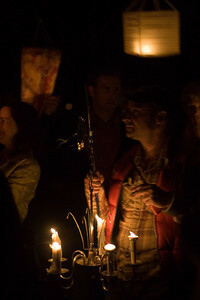 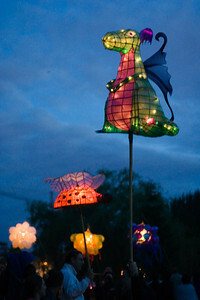 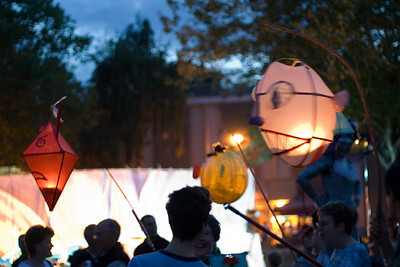 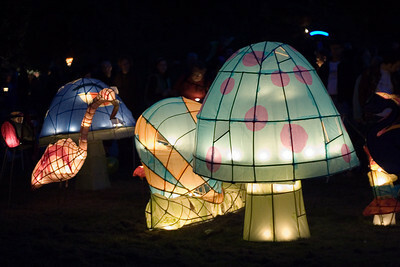 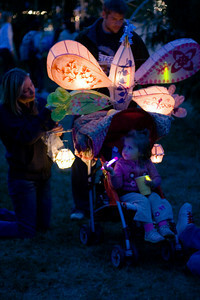 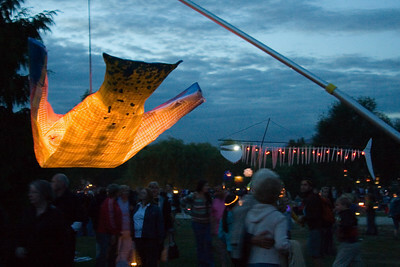 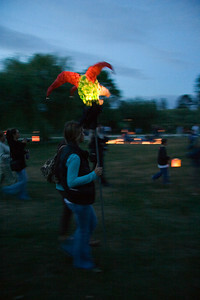 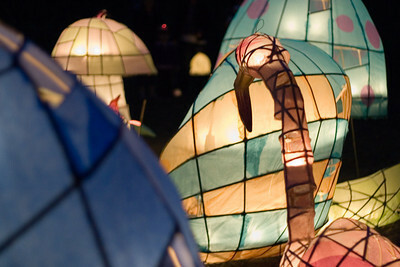 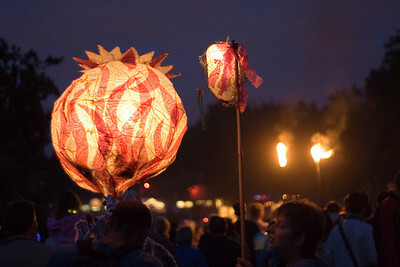 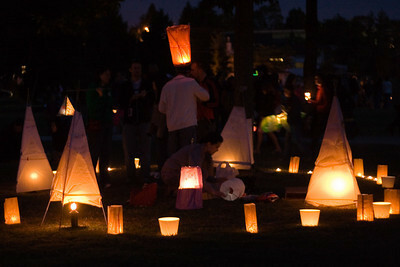 You can take a lantern-making workshop before the event. 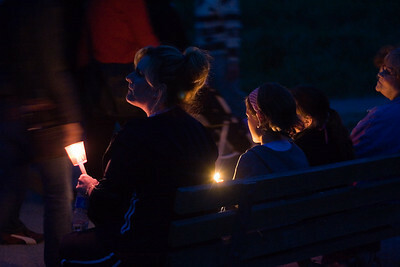 To see the full set of photographs from this event, click here. 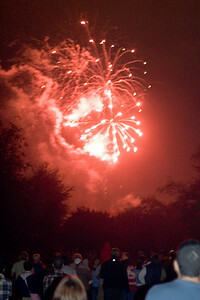 For event information, click here. 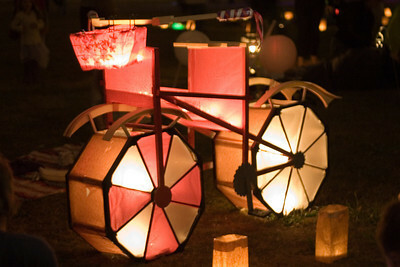 Bicycle lantern I first saw this lantern in somebody's front yard on the way in. 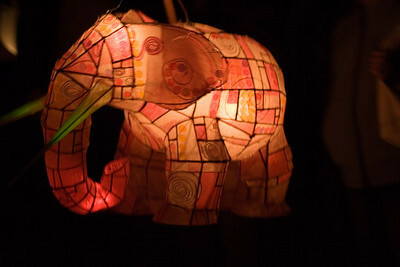 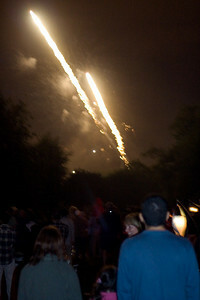 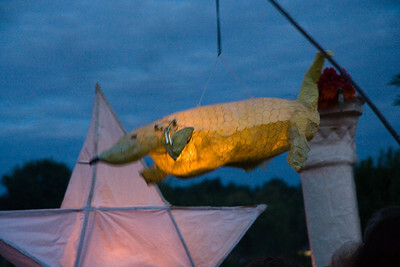 By now it had moved into a lantern circle inside the festival.